Once they came to Graz in droves to visit the housing experiments of the “Model Styria”: every faculty of architecture in German-speaking countries sent their students with an obligatory excursion to Graz, where the exploration of new forms of living was expressly desired. Even required and supported by political will and a government, that was considered conservative, but nevertheless was cosmopolitan and reform-minded. Social housing, which is funded in Styria, could be something special, and the non-profit housing companies, which alone can claim funding here, had to comply with the requirements of the state government, for example, open competitions for buildings with more than 50 apartments. That was in the 1970’s and this “golden” period for housing lasted more than 15 years. Countless architectural competitions have been held throughout the country, and even architects who had not yet arrived, where invited to contribute their ideas. A change of government brought the turnaround, and thus in turn a housing construction, which was largely business as usual, as in the post-war years. After a few years of droughts architectural firms began to emancipate themselves and founded their own developer departments to independently implement their ideas for improving housing. Housing experiments are worth a trip to Graz again – ideally with a professional architecture tour. 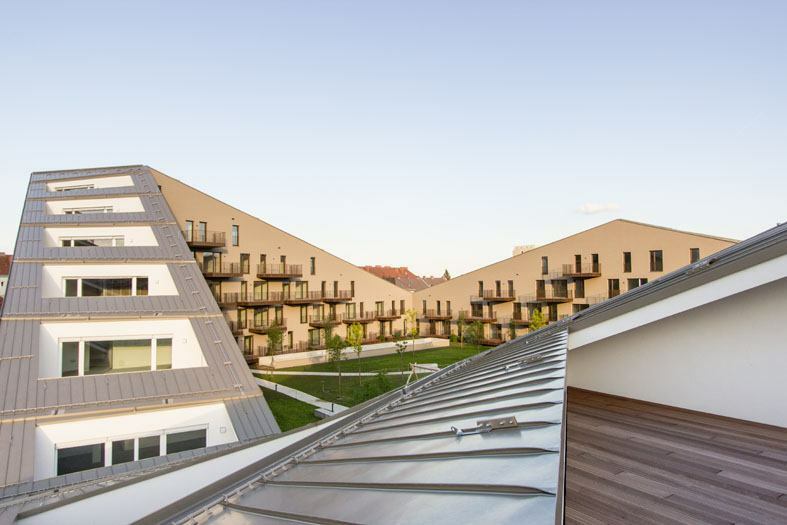 Residential construction is booming in the fast-growing, second-largest Austrian city, and there are interesting new residential buildings to visit everywhere. 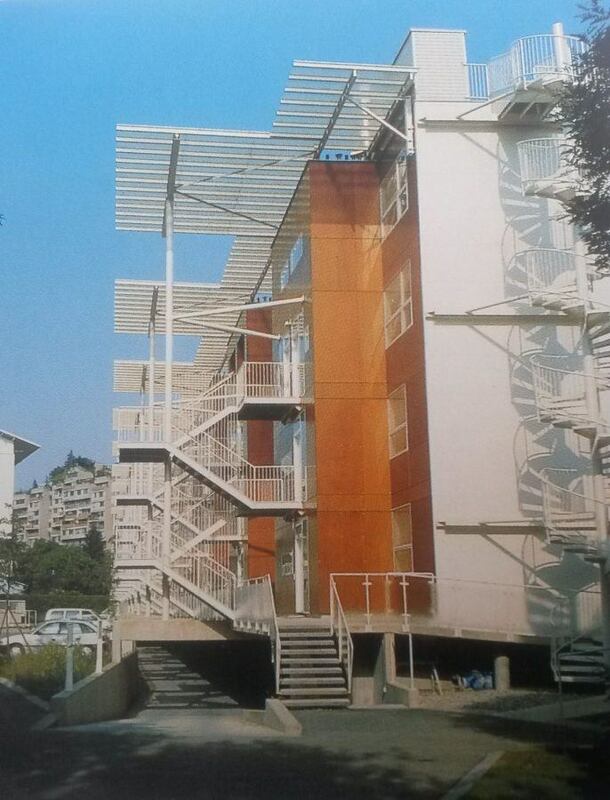 The market allows to build apartments even without funding – free financed. For years, an architecture office called Pentaplan has been developing the site of a former brickyard into a green residential area with a colorful mix of residential types. In “Alphawolf” in the Andritz district you will find small to big flats, row houses, courtyard houses and more developed experimentally. And very well accepted (and bought) by apartment seekers. Now, this architectural office has dared to reinterpret the apartment block of the so called “Gründerzeit” (1860-1910), which is very popular in Graz. 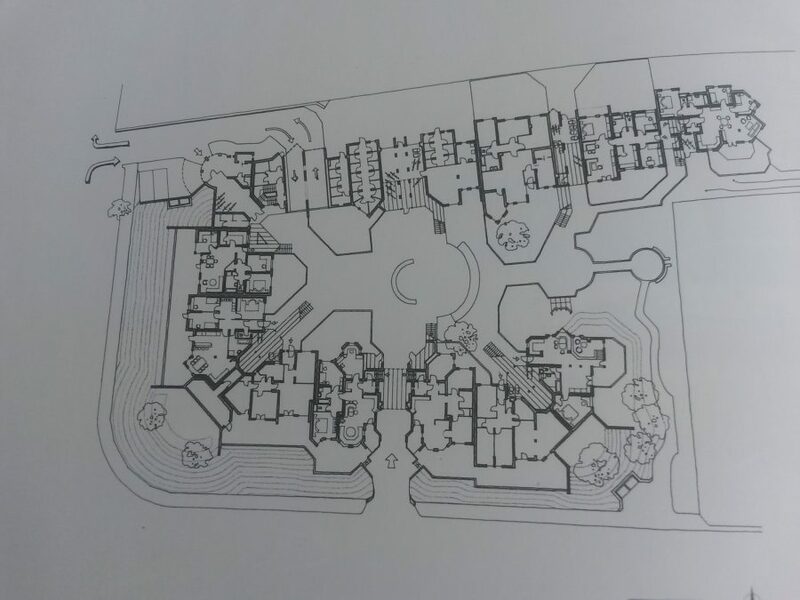 The exercise was successful: “The Eggenberge” are an exciting mix of apartments, many of them with large, secluded terraces. And this at a crossroads – same as in the blocks of the Gründerzeit, which are still very popular as residential areas in the student city Graz. 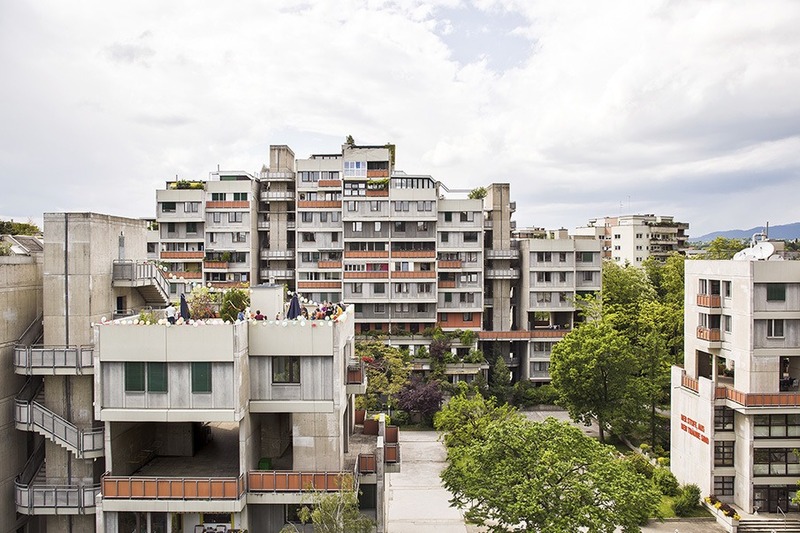 Social housing may also be innovative in Graz again. 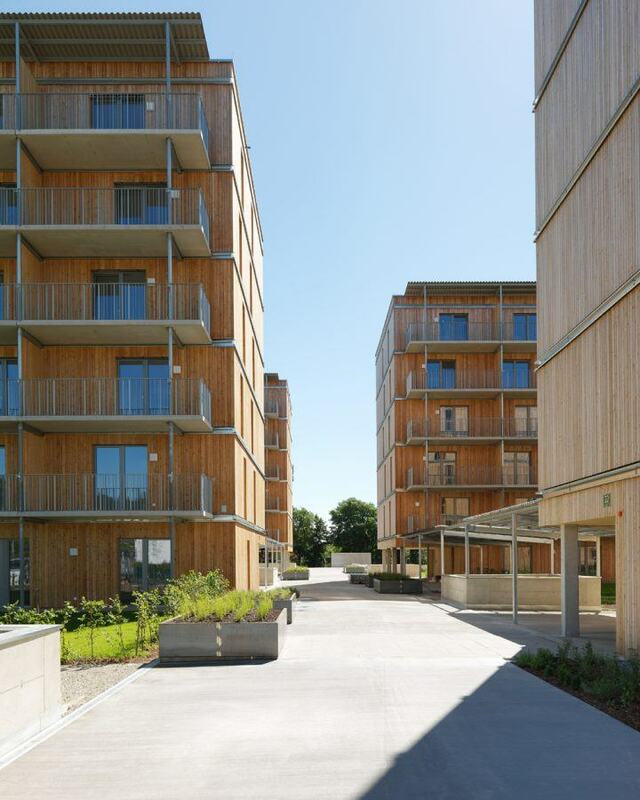 With limited funds, the city has built the first five-storey wooden residential building in Austria. The tenants (they are assigned by the city) notice of this limitation nothing. They live just as comfortably as those who can buy one of the new, ambitiously built apartments that are being built in Graz right now. XVI. Venice Architecture Biennale - "Freespace"